Wine, also, pretty much rocks the thunderdome. That’s all. In that sense it's a pretty typical photo. 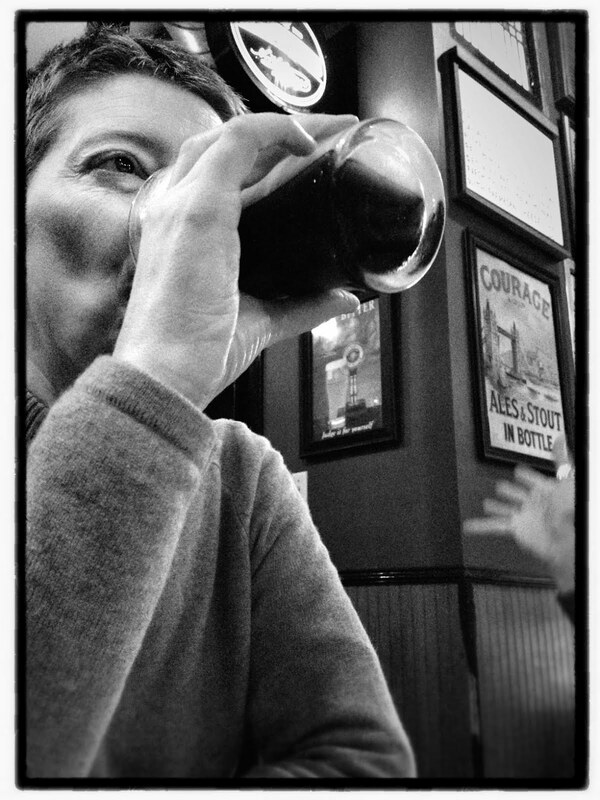 Me drinking, observing; Kelley talking with enthusiasm. It's that look in your eye:satisfaction. Thanks for the photo. That has to be one of the best photos ever! Janine, yeah, I like it a lot.